TUESDAY, Nov. 21, 2017 (HealthDay News) -- Most American women would prefer to get a mammogram to screen for breast cancer every year rather than every two years, a new study finds. Currently, the U.S. Preventive Services Task Force recommends that women at average risk for breast cancer be screened every two years, beginning at age 50. The recommendation is based in part on potential harms associated with screening mammography. Those include diagnosis and treatment of noninvasive and invasive breast cancers that would not have posed a threat to a woman's health, as well as unneeded biopsies and the anxiety caused by false-positive results. However, other experts believe that the benefits of early breast cancer detection far outweigh the potential harms. To get women's views, the researchers surveyed 731 women, 59 years old on average, who had screening and diagnostic mammograms done at Einstein Medical Center in Philadelphia between December 2016 and February 2017. The investigators found that 71 percent of the women said they'd prefer a screening mammogram every year. Those with a family history of breast cancer and a prior breast biopsy were more likely to be in favor of yearly screening. The findings are to be presented at the annual meeting of the Radiological Society of North America, held Nov. 26 to Dec. 1 in Chicago. Research presented at meetings should be considered preliminary until published in a peer-reviewed medical journal. "Women understand that yearly mammograms have been shown to save lives and do not consider previously reported 'harms' to be as important as getting screened," study author Dr. Ghizlane Bouzghar, chief radiology resident at Einstein Medical Center in Philadelphia, said in a society news release. 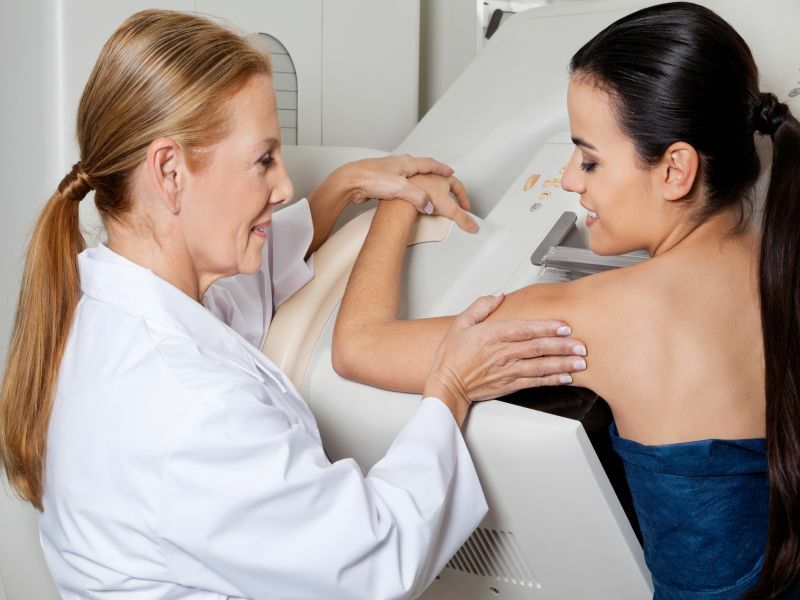 "Many women are much better educated about the value of screening mammography than they are given credit for. I also think that some of the [task force's] concerns about the 'harms' were somewhat paternalistic," Bouzghar said. "In 2017, women are more empowered about many things, including their health care," she added.